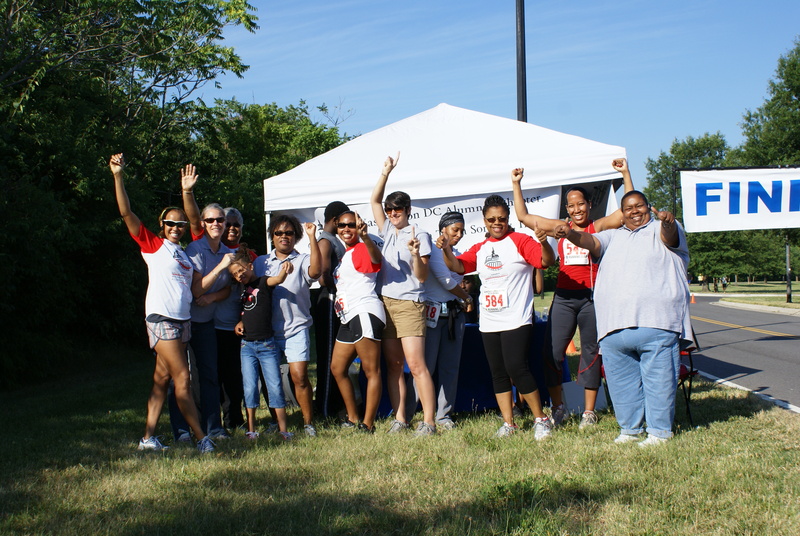 On Saturday morning, over 130 men and women of all ages gathered at the Anacostia Park pavilion for a 5k to benefit the Delta Sigma Theta scholarship program and the programs at Calvary Women’s Services. We had a great turnout for the event, and I’m happy to announce that runners helped us raise a grand total of $2,500 for Calvary’s programs and Delta’s scholarships! Sixteen-year-old Liam Monheim recovered impressively from a late start to win the race in 20:41, his neon sneakers the last thing anyone saw before he was past them and out of sight. Emily Ruppel, 27 and briefly misdirected on the course, also recovered to finish less than a minute behind Liam. Though youth proved victorious in the finishing order, the race truly was an event for all ages and abilities – we had racers ranging from 6 years old to 75! And though Emily and Liam surely struggled to perform as they did in the unforgiving heat, my hat goes off to the dedicated walkers who endured an hour out on that shadeless course and still crossed the finish line with smiles on their faces. I think that, more than course records or hundreds of participants, the measure of a good race is in how the participants feel. Though everyone finished exhausted and parched, their good spirits shone through. 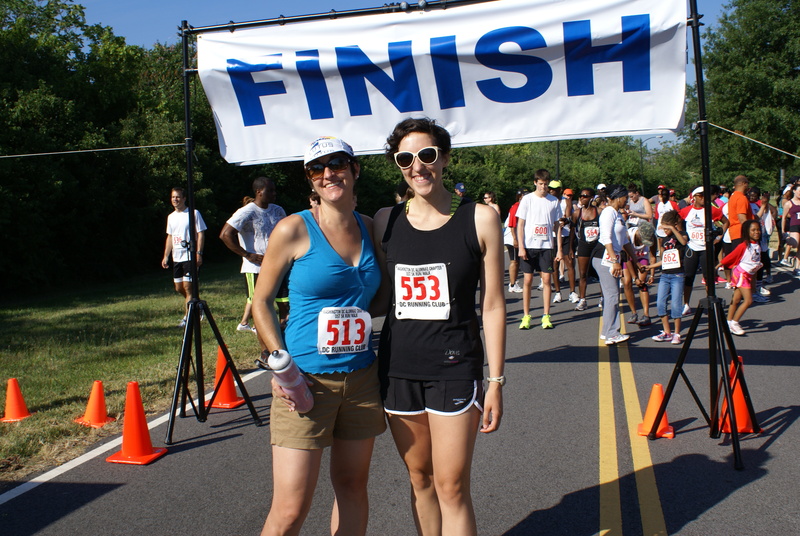 We at Calvary thank everyone who volunteered, donated, and participated in this inaugural 5k. We look forward to many more opportunities to use the beautiful park and trails just steps from our new home on Good Hope Road. Don’t forget to check your race results here, tag yourself in the photos on Facebook, and share your own photos or stories from the event.